The first two volumes chosen 2010 Outstanding Book of the Year by the Theatre Historical Society of America. The final volume published 2014. "We have a wonderful collector of theatre history named Cezar Del Valle, who has collected more Brooklyn theatre information than probably anyone else around and written two wonderful books." "The definitive appraisal of all movie theatres to have operated in Brooklyn, a borough known to have had the most theatres operating out of the five NYC Boroughs." 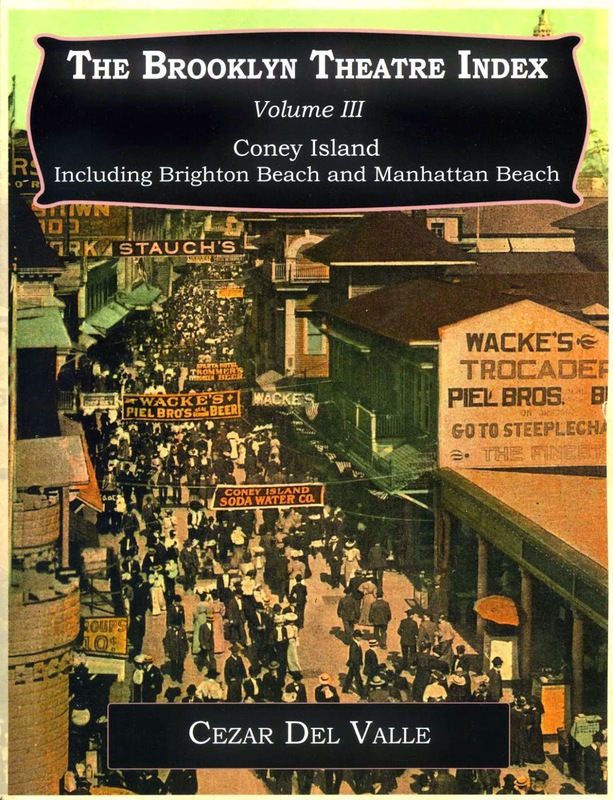 "Comprehensive, accurate and useful, The Brooklyn Theatre Index series is a valuable addition to any serious theatre historian's library."